Join us for the Thursday Night ‘Ask a Coach. Get Started. 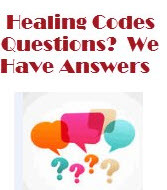 Go Deeper’ call and ask your question about The Healing Codes, healing issues of the heart, complementary medicine, natural energy healing. This call is at 8:30PM Eastern Time and is scheduled for 1 hour but ALWAYS lasts longer. Tom is traveling this week so your host will be Ellen Kratka, Certified Healing Codes Practitioner. If you don’t know what time this is where you live, use this Time Zone Converter. And the US changed their clocks last weekend for Daylight Savings Time so use the Time Zone Converter to find out what time it is where you live – this time is the same as New York City time.